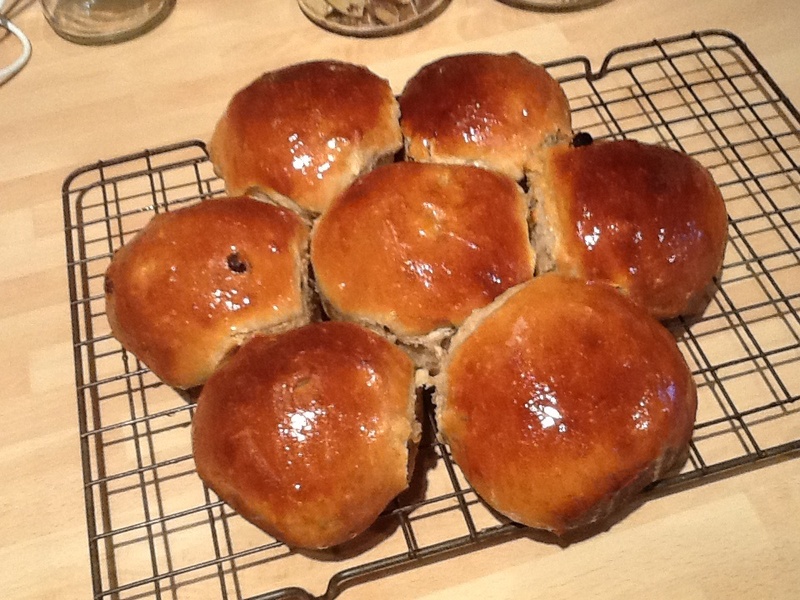 Lovely to have our first Bread Club of 2013 and off to a great start with these buns. I missed the Focaccia making class so I’m going to join with a new group next week who meet every other Wednesday led by two of the original people who learnt from Ruth and Yvonne. It’s really good that all these people volunteer to teach others. 1. Mix the batter ingredients together and leave in a covered container overnight in the fridge or minimum 30 minutes at room temp. 2. To make the dough rub the butter into the flour and add sugar, fruit (and cinnamon if using). 3. 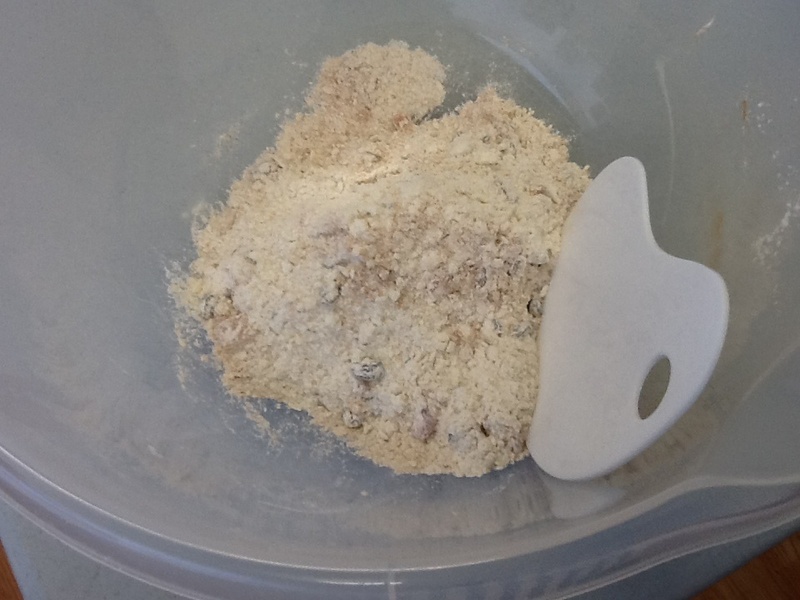 Add the batter mix and the dough mix together with the egg, making sure that there’s no dry flour left in the bottom of the bowl. 4. Leave for 10 minutes (or up to 30 minutes). Cover the bowl with a tea towel or plate to prevent the dough drying out. 5. Add the salt and “fold” the dough 30 times, leave to rest for 10 minutes. 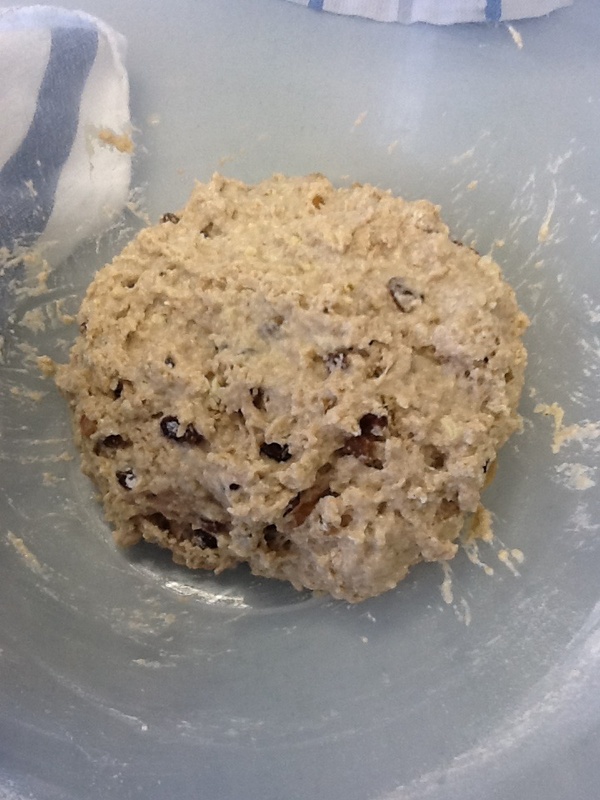 To begin with it will be very sticky – don’t be tempted to add more flour! 6. Repeat the folding and resting until the dough has been folded 4 times. Rest for 30/40 minutes. 7. Shape the dough into 8 pieces or a loaf and place on greased tray/s or in a loaf tin and leave to prove for approximately 1 hour until doubled in size. 8. 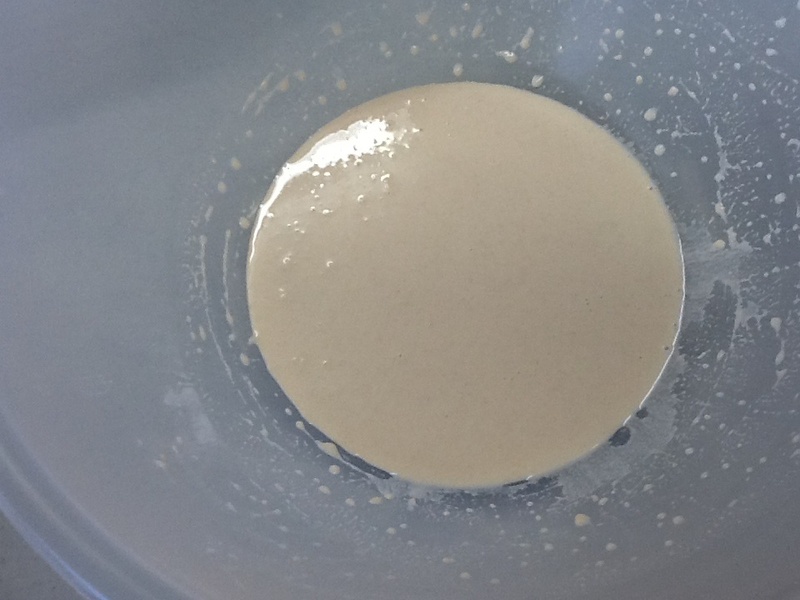 Bake at 190˚C (gas mk 5) for 15-20 minutes until golden and the base is nicely browned and hollow when tapped. 9. To make the glaze, dissolve the sugar in the water and boil for 1 minute. While the buns are still warm, brush with this glaze. ← I’VE BEEN TO A SUPERMARKET!